DAY TWO! Our students’ first day waking up on Israeli soil and enjoying an Israeli breakfast of tomatoes and cucumbers, bread, cheese, olives and fruit, with some familiar foods of pancakes, French toast and eggs. Today’s activities included a journey from modern Israel into the past. 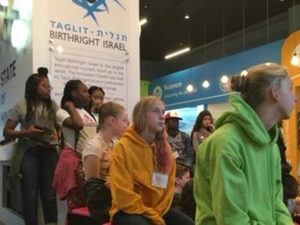 They started out in Modern Israel by visiting the Israel Innovation Center. 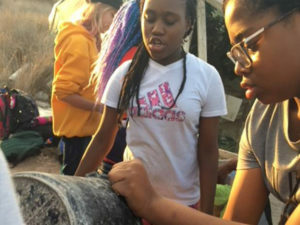 There they learned about pills that help doctors detect diseases and machines that take humidity from the air and turn it into potable (drinking) water. 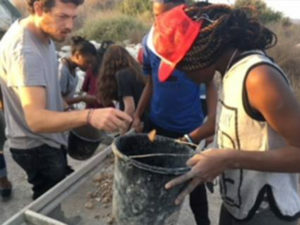 Our students said they hadn’t realized how inventive the Israeli people are, nor did they know just how much Israel’s contributions to the world help make so many lives better. 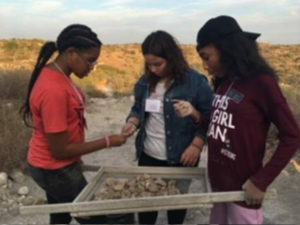 They also learned about the roots of Israel’s high-tech innovation. 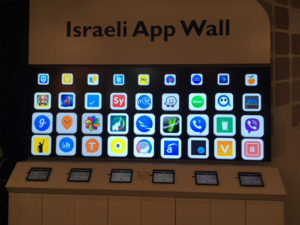 See the picture of the app wall and see how many of these apps you know and use. Our students were surprised to learn that these were all invented in Israel. Next, they took some time to reflect on their first day by journaling and sharing thoughts in small groups. 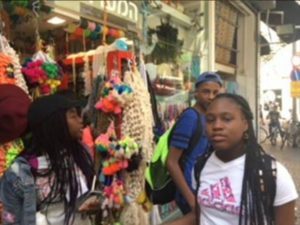 After some quiet time, they were off to do a scavenger hunt in Tel Aviv’s Tuesday/Thursday crafts fair. Then it was time for a lunch of their choice. There wasn’t enough time for shopping which was a bummer, but they will have a little bit more time to shop later in the week. 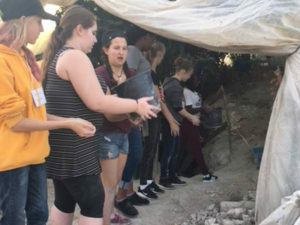 They then traveled further South, had a quick kibbutz dinner and went outside to meet Israeli teenagers, play games with them, and have a bonfire. Stay tuned for Day 3 where they learn all about Israel’s hi-tech agriculture!